Our name comes from the Tyrolese dialect and means “quick thinker”. Well: we know each other for more than 30 years now; we’ve been neighbourhood kids and played together in the same streets. But a straight forward love story is a boring love story, isn’t it? Alas, we lost sight of each other – until photography brought us back together, 25 years later! We are pretty spontaneous people and we love to go on impromptu adventures. 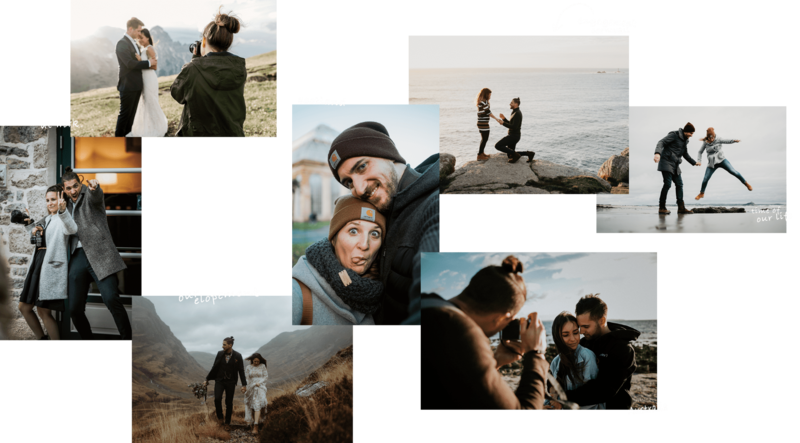 Like in fall 2018, when we spontaneously decided to elope in Scotland. If it rained, you ask? You bet it did! Cats and dogs, people, cats and dogs. But for us, it was just perfect the way it was. we love meeting our friends, sharing great food and putting crazy ideas into action, like paragliding, mountaineering or backcountry skiing!